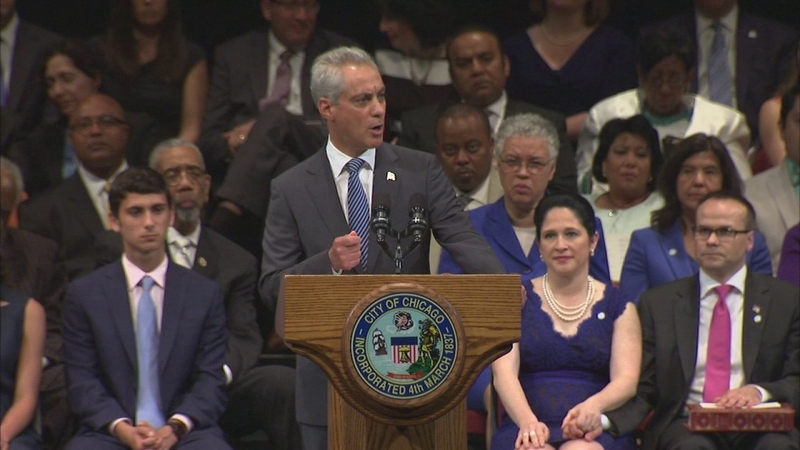 CHICAGO (WLS) -- Four new members have been appointed to the Chicago Board of Education, Mayor Rahm Emanuel announced Tuesday. Gail Ward, Rev. Michael Garanzini, Dominique Jordan Turner and Mark Furlong will replace Carlos Azcoitia, Henry Bienen, Deborah Quazzo and Andrea Zopp. The outgoing members' terms end June 30. Ward has worked in the CPS system for 35 years, including serving as the first principal of Walter Payton College Prep High School. Rev. Garanzini has served as president of Loyola University Chicago since 2001, but will step down at the end of June. Turner is the current president and CEO of Chicago Scholars Foundation, which focuses on providing opportunities for underserved high school students. Furlong currently serves as a chair of Chicago United, which promotes diversity in business leadership, and is a retired CEO of BMO Harris Bank and Marshall & Ilsley Bank. "These new board members will bring valuable experience to their new roles that will help us build on our progress and address our challenges to ensure that every child in every community has the education they need for the bright future they deserve," Emanuel said in a statement. The new members will serve four-year terms and be installed prior to the July Board of Education meeting.